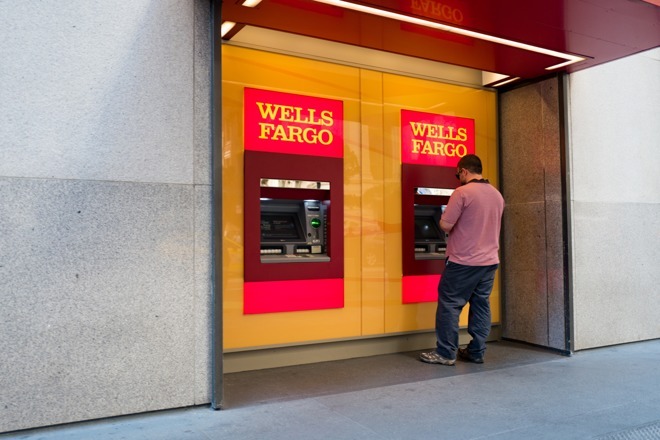 Following the end of a successful pilot project, Wells Fargo will be opening up smartphone-based withdrawals at all 13,000 of its U.S. ATMs on Monday, March 27 —though support for Apple Pay isn't yet on the horizon. Instead people will have to use the Wells Fargo app to request a one-time, eight-digit code, which must be combined with a PIN, Reuters said. While not necessarily more efficient, the method will mean being able to withdraw cash without a debit card. In theory it may also improve security, since customers won't risk encountering a card skimmer. State-of-the-art skimmers are difficult to spot and can steal data from a number of cards before banks and customers catch on. CBS noted that phone-based withdrawals should become simpler later in 2017, when an update will eliminate the need for a code and only ask that people hold their phone up to a reader. It's likely that Wells Fargo will eventually add ATM support for Apple Pay, given that it already supports the platform for payments and one of its main rivals —Bank of America —has been offering Apple Pay withdrawals since June 2016. To date Bank of America's compatibility is still limited to "select" locations, which could give Wells Fargo a chance to catch up.